ARI® and its parent company Holman Enterprises announced a series of executive appointments today designed to strengthen the company’s position as an integrated provider of B2B automotive and fleet related services. Company veteran Bob White has been named as President of ARI. He will be supported by a newly named team of ARI executive vice presidents. Over a near 30 year career at ARI, White has held a number of progressive leadership positions including Vice President of Operations, and most recently Executive Vice President and Chief Operating Officer. He will now be responsible for all ARI operations globally, including the US, Canada, Germany, the UK, and Mexico. White assumes the role from Chris Conroy who will now focus exclusively on the position of President and CEO of Holman Business Services, a fleet and automotive services group which includes ARI, Auto Truck Group, a leading truck and equipment upfitter and fabricator; as well as Holman Parts Distribution, a provider of OEM parts and components. To further support ARI’s continued growth, the company has named three executive vice presidents. 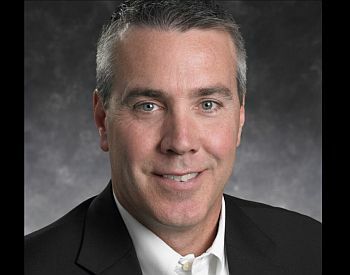 Mark Bryan has been named Executive Vice President and Chief Operating Officer. Bryan most recently served as Senior Vice President of the company’s European operations, which included the integration of a number of acquisitions that led to ARI’s expansion into that market. He will now lead ARI’s fleet management, supply chain, and product management teams globally. He will also act as a key member of the larger Holman technology team to ensure ARI continues to bring fleet technology innovations to the market. Bryan joined the company in 2007 after spending nearly 20 years in leasing industry. Rick Tousaw has been named to the newly created position of Executive Vice President and Chief Commercial Officer, which includes responsibility for new business development and client relations globally. Tousaw most recently headed the company’s Canadian operations, where he oversaw a multi-site facilities expansion strategy and worked to strengthen ARI’s market position and offerings. Tousaw joined ARI in 2010 after nearly 20 years of successful sales and marketing leadership in the beverage and consumer packaged goods industries. Gernot Leinenbach has been named Executive Vice President and Chief Financial Officer for Holman Business Services. Along with the respective company leaders, Leinenbach will oversee finance and strategy initiatives for ARI, Auto Truck Group, and Holman Parts Distribution. Leinenbach joined ARI in 2016 as Group CFO and Senior Vice President of Finance after serving in senior financial roles at Microsoft and BMW both in Europe and North America.